What exactly is the resurrection? As defined by The Oxford English Dictionary, resurrection is "the act or the fact of resurrecting [i.e., "restoring (a dead person) to life" (OED 2016)] or being resurrected [i.e., "revived or revitalized" (OED 2016)]" (OED 2016). In like manner, The Encyclopedia Britannica describes resurrection as "the rising from the dead of a [...] human being who still retains his own personhood, or individuality, though the body may or may not be changed" (Encyclopedia Britannica 2016). In terms where any given person can fully comprehend what these credible references say, the resurrection is the physical restoration that takes place within a dead corpse to the extent that the human body is fully restored to life so much so that their concept of individuality returns to their mind. Some have a very difficult time trying to make sense of the resurrection, the complete physical restoration of dead corpses returning to life. Maybe they find it too complex and really do not know what to say about the matter. Perhaps they have their own preconceived notions as to what the resurrection may mean to them but do not discuss the topic in the attempt to avoid any outside influences from deconstructing their world view. Who knows? What many of these Bible enthusiasts do know is three very important things. Firstly, members of the international body of Messiah agree to believe in the resurrection because Yeshua himself taught, "Do not marvel at this; for an hour is coming, in which all who are in the tombs will hear His voice, and will come forth" (John 5:28). In other words, belief in the resurrection is belief in what Yeshua himself taught. Belief in the resurrection is also about belief in Yeshua. To discredit the belief is to discredit ourselves: "13 For if there is no resurrection of the dead, then Messiah has not been raised either. 14 And if Messiah has not been raised, then all our preaching is useless, and your faith is useless. 16 And if there is no resurrection of the dead, then Messiah has not been raised. 17 And if Messiah has not been raised, then your faith is useless and you are still guilty of your sins. 18 In that case, all who have died believing in Messiah are lost!" (1 Corinthians 15:13-14 & 16-18, NLT). So instead of discrediting belief in the resurrection, Bible enthusiasts would like to say, "[...] we all preach the same message you have already believed" (1 Corinthians 15:12, NLT), but they can't really say such a thing because they themselves have observed that there are numerous different views on the matter. So, they refrain from answering for whatever reason. There's a third important thing about the resurrection, and it's that it's prophetic [i.e., "accurately predicting what will happen in the future" (OED 2016)]. The Bible says, "1 See how very much our Father loves us, for he calls us his children, and that is what we are! But the people who belong to this world don’t recognize that we are Yahweh's children because they don’t know him. 2 Dear friends, we are already Yahweh's children, but Yahweh has not yet shown us what we will be like when Messiah appears. But we do know that we will be like Yeshua, for we will see Yeshua as he really is. 3 And all who have this eager expectation will keep themselves pure, just as Yeshua is pure" (1 John 3:1-3, NLT). Even though belief in the resurrection is prophetic, some may wind up saying something along the lines of, "These are deep mysterious things that we will learn of on that great eventful day." Hence, many Bible enthusiasts who do not bother to preach or share the Good News with others because they reason that the resurrection is a mystery. Pray for biblical insight and revelation. What is the true source of all the confusion? Is the resurrection so complicated that the Heavenly Father does not want his creation to look forward to the great design that he originally purposed? Of course not! In instances when we find certain biblical topics difficult to comprehend, we should strive to maintain the same attitude that Daniel had as when he said, "20 [...] Praise the name of Yahweh forever and ever, for Yahweh has all wisdom and power. 21 Yahweh controls the course of world events; Yahweh removes kings and sets up other kings. Yahweh gives wisdom to the wise and knowledge to the scholars. 22 Yahweh reveals deep and mysterious things and knows what lies hidden in darkness, though Yahweh is surrounded by light" (Daniel 2:20-22, NLT). I don't personally think that Yahweh intended to hoard up what he has planned for his creation to then keep it mysterious. On the contrary, the Bible informs what we're expected to do when we don't understand something that is mentioned so frequently within Scriptures: "5 If you need wisdom, ask our generous Elohim, and he will give it to you. Yahweh will not rebuke you for asking. 6 But when you ask Yahweh, be sure that your faith is in Yahweh alone. Do not waver, for a person with divided loyalty is as unsettled as a wave of the sea that is blown and tossed by the wind. 7 Such people should not expect to receive anything from Yahweh. 8 Their loyalty is divided between Yahweh and the world, and they are unstable in everything they do" (James 1:5-8, NLT). Then, search the matter out (reference Matthew 7:7-8). The Bible leads members of the international body of Messiah to understand that Yahweh is not the author of confusion; he is the author of peace and order within the assembly of the saints (reference 1 Corinthians 14:33). The true source of all the confusion stems from transliteration. When a person speaks in an unfamiliar language to another audience, a translator does his best to translate the main idea or message that the speaker is trying to relate. Whenever the translator cannot find an adequate word the best describes the word that is being said in another language, he uses the same word as it was spoken in the original language. The use of a foreign word in another distinct language is a sort of transliteration. Etymology: The term we come to know as resurrection comes from Latin term resurgere which means “to rise again” (OED 2016). Anyone can easily gather this information from a credible reference resource like the Oxford English Dictionary. Whenever a word is transliterated, it’s quite common for the term to become vague and obscure; however, when we cross reference these very same verses that contain this term with earlier written biblical works and understand just exactly what Yeshua’s disciples meant. It is then that the term resurrection becomes more and more clear. Take, for example, the Greek term ἀνάστασις (i.e., anastasis) which was commonly translated into Latin as resurrection. Anastasis is a compound noun consisting of the prefix ana- (ἀνά) which means “again” and the root word histemi (ἵστημι) which means “to cause a person to stand up again in the presence of others in order to be set in the midst of judges in the Sanhendrin court” (Strong’s Concordance of the Bible 2016). Upon mentioning the term resurrection, members of the international body of Messiah understand this term to mean that it is "the physical restoration that takes place within a dead corpse to the extent that the human body is fully restored to life so much so that their concept of individuality returns to their mind" as mentioned earlier in this study. A quick reference to the Strong's Concordance of the Bible leads Bible enthusiasts to understand that this revitalization process has an intended purpose, so that each person who partake in the resurrection may stand trial (reference 2 Corinthians 5:10 and Revelations 20:11-15). 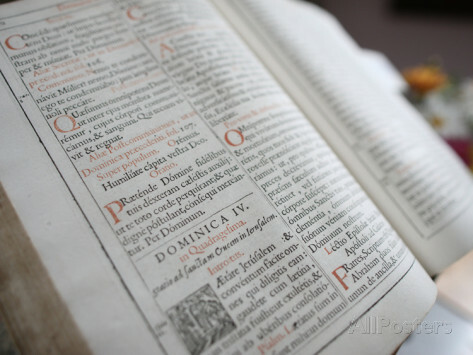 Bible translators may have been borrowed the Latin term "resurrection" from either the Latin Bible or Latin liturgical services as practiced within their predecessor movement wherewith they departed from, The Roman Catholic Church. The same can be said about the Hebrew language. T’chiyet m’tim (i.e.,תחיית מתים) is the Hebrew equivalent, or precursor, to resurrection which literally translates as “you shall live even [after] being among dead ones” (reference John 11:25). Yes, those two simple Hebrew words have much to say when translated into another language. As opposed to reiterating the transliterated Hebrew words of t'chityet m'tim or utilizing the Greek term of anastasis, it seems as if though Bible translators opted to use the Latin term resurrection. Why Latin and not Greek or Hebrew? Bible translators may have opted for Latin maybe because many of today's modern languages spoken in Europe stem from a basic Latin root. Then again, it's more probable that they resorted to using the Latin Bible when translating efforts were emplaced. Even still more probable, Protestant Reformers may have opted to remain using this which they were familiar with since breaking away from a Latin speaking liturgical movement. Who knows why Bible translators opted with resurrection as opposed to anastasis or t'chiyet m'tim? We can only hypothesize and take an educated guess on the reasonings as to why Bible translators opted with decisions that they did. The fact of the matter is that the Latin term resurrection tends to be rather vague for a lot of Bible enthusiasts so much so that they shy away or refrain from explaining it in a comprehensive manner. As a result, many Bible enthusiasts may find it a difficult task in explaining what the resurrection may mean, thus causing them from researching the information to share their faith in biblical matters with others; hence, members of the international body of Messiah found it necessary to search the matter out and share our independent finds. Belief in the resurrection is unique to the Bible. According to Scriptures, mankind possesses a spirit that resides within his body and gives that body which the spirit resides in life (reference Job 32:8). In fact, Yeshua taught his disciples that it is this spirit which resides within the human body that gives life to the human body (reference John 6:30). Without the spirit residing within the human body, death (chiefly being, the cessation of life) takes place (reference John 6:63, 1 Peter 3:18 and James 2:26). As modern day disciples of the teachings of Messiah Yeshua, we reason that the spirit plays a vital role in the functions of both life and death within the human body and understand that when the spirit is present within the human body, the body is alive; when the spirit is absent from the body, the body is dead. The spirit that resides within the human body originally came from the Heavenly Father. The Bible says, “And Hashem Elohim formed man [of] the dust of the ground, and breathed into his nostrils the breath of life; and man became a living soul” (Genesis 2:7, KJV). Upon referencing Job 32:8, the Bible enthusiast will soon realize that mankind continued to receive this spirit that resides within him from the Heavenly Father. Just as much as mankind has received this spirit from the Heavenly Father so that he may live, so too this very same spirit within all mankind must return indiscriminately to the Heavenly Father from whence it originally came: "For then the dust will return to the earth, and the spirit [within mankind] will return to Elohim who gave it" (Ecclesiastes 12:7). "You guided my conception and formed me in the womb. You clothed me with skin and flesh, and you knit my bones and sinews together” (Job 10:11-12), the Bible says. Just as much as Yahweh was able to form mankind from the dust of the earth and cause life to enter into Adam's lifeless body, He too is capable to allow for mankind to rise again from the grave. Just as much as the Heavenly Father was able to create us from our mother’s womb, so too he can reassemble bones together again and cover it up with soft tissues (reference Ezekiel 37:5-10). Yeshua taught, "Do not marvel at this; for an hour is coming, in which ALL who are in the tombs will hear His voice, and will come forth; those who did the good deeds to a resurrection of life, those who committed the evil deeds to a resurrection of judgment” (John 5:28-29, NASB). “But as for me, I know that my Redeemer lives and he will stand upon the earth at last. And after my body has decayed, yet in my body I will see Elohim! I will see him for myself. Yes, I will see him with my own eyes. I am overwhelmed at the thought!” (Job 19:25-27). In like manner, Yeshua taught that “[…] just as the Father gives life to those he raises from the dead, so the Son gives life to anyone he wants. In addition, the Father judges no one. Instead, he has given the Son absolute authority to judge, so that everyone will honor the Son, just as they honor the Father. Anyone who does not honor the Son is certainly not honoring the Father who sent him” (John 5:21-23, NLT). As a result, Scriptures warn that “[…] we must all appear before the judgment seat of Messiah, so that each one may be recompensed for his deeds [performed] in the body, according to what he has done, whether good or bad” (2 Corinthians 5:10, NASB). “‘Yes,’ says the Spirit, "[…] your deeds follow […]’” (Revelations 14:13, NASB).